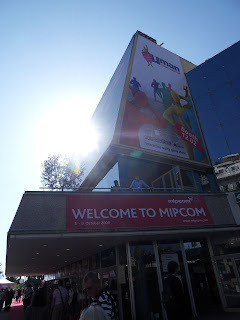 Last week Beast Animation was at MIPCOM 2009, the International Film and Programme Market for Television, Video, Cable and Satellite in Cannes, France. Beast presented Master Bator, a brandnew 52 webisodes' series, to several interested content aggregators and producers. 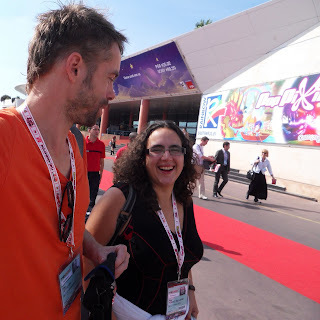 Enjoy the pictures of Ben and Pilar in Cannes... and try to find Master Bator himself! 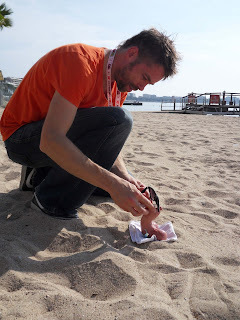 More pictures of Master Bator in Cannes on the facebook fan page.